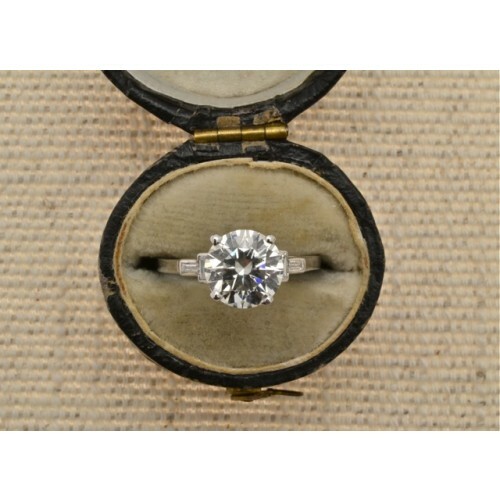 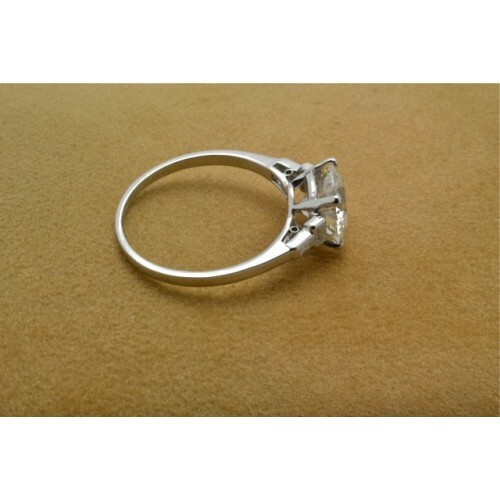 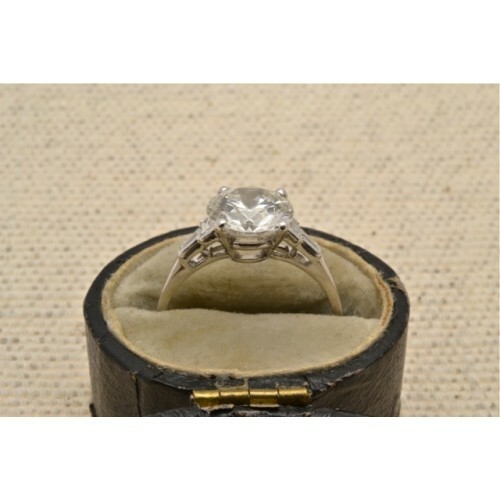 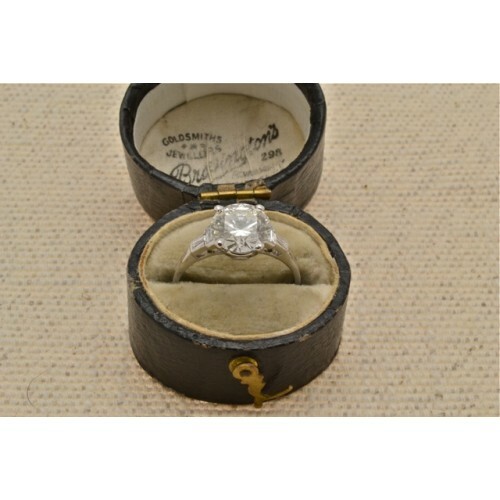 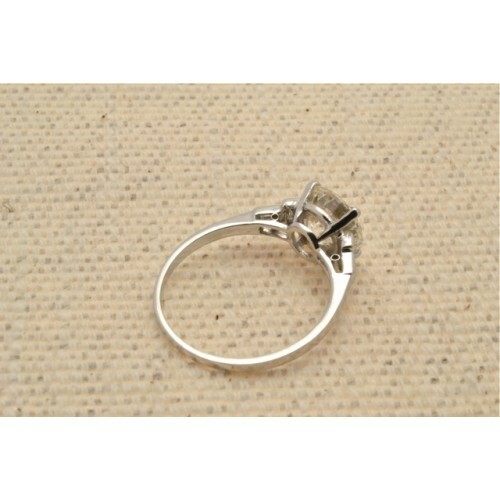 Single stone diamond ring 2.08 cts. 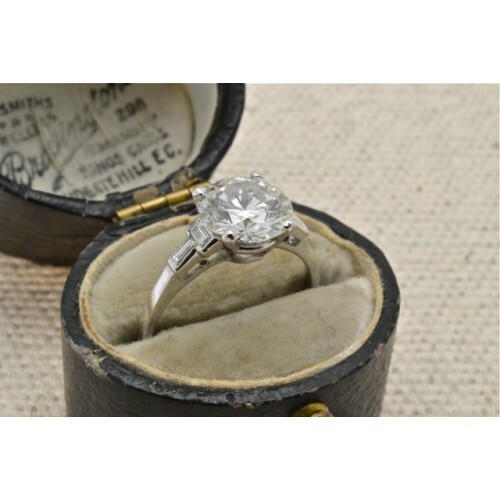 A very fine platinum set diamond single stone ring, having a round brilliant cut stone weighing 2.08 carats, H Colour, VS2 Clarity. The diamond is set in an old French mount four claw with two baguette stones on each shoulder.